The Maxwell Archives are open to the public. 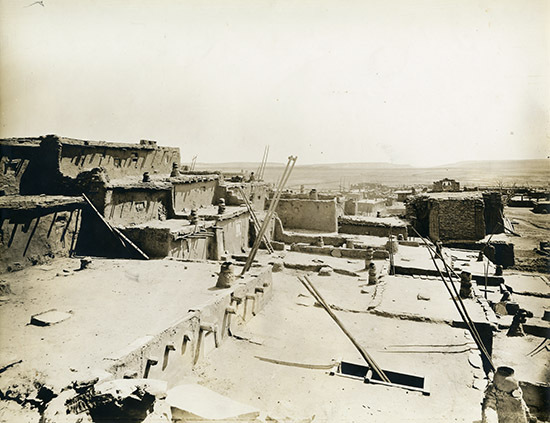 The document archives include supporting documentation from the University of New Mexico’s Archaeological Field Schools; personal papers, letters, and manuscripts of professors from UNM’s Anthropology Department and other anthropologists, Maxwell Museum archives and more. The Maxwell has approximately 10,000 photographs in its archive. These include the work of such noted photographers as Joseph Imhof and John Collier, Jr. and the substantial Soil Conservation Service Collection and many more. 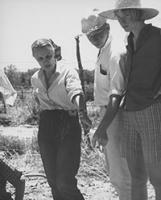 For access to the Archives please see policies on collections use and contact the Museum Archivist. Museum Reading Room Hours are by appointment, 8:30 a.m. to 2:30 p.m. on Tuesdays and Thursdays. If you need to visit the Museum Archives on a day other than Tuesday or Thursday, contact the Archivist to make arrangements. Please note that "drop ins" to the Archives cannot be accommodated due to limited staffing. The Florence Hawley Ellis Papers (1859-2009) include personal/biographical papers, correspondence, archaeological field school documentation, publications (published and unpublished articles, monographs, etc. ), dendrochronology research, maps, photographs, and teaching and research material on the ethnology, archaeology and anthropology of the American Southwest.